Violin Lessons in Auckland: Lessons are available for adults, teens, and kids of any skill level. Auckland is a great city with a large range of music entertainment and education. You can see live Classical performances from some of the best musicians in NZ and around the world. Right in the heart of the city, we also have the University of Auckland (Where I studied music) and one day, you or your child’s goals may even be to perform or further your musical education. But until then, it helps to have a good music teacher. 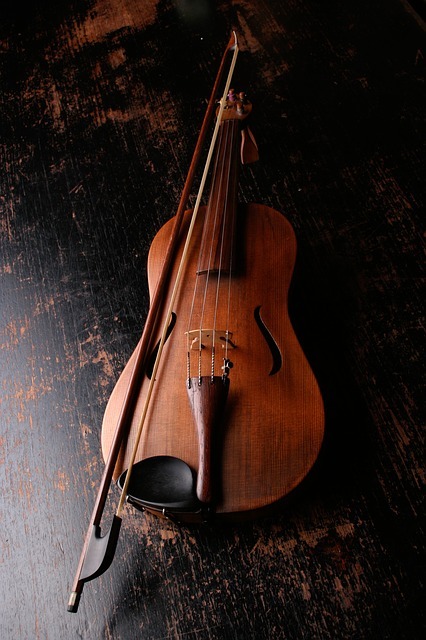 The violin can be a very beautiful instrument to play… it can also be one of the more difficult instruments to learn, but don’t let that put you off! Our teachers are here to help and make learning fun and easier than those YouTube videos you may be watching. With the right violin tutor, you and/or your child can achieve some outstanding results. My name is Kyle and I have developed a successful home music teaching business which is now expanding. At Hypermusic Studio, I have hand-picked a range of quality violin teachers based in the Auckland area. Learning the violin requires an excellent instructor who both knows what they are doing, and has the skills to show others how to build the fundamentals to be able to play the violin. Not only that, they are also able to take advanced players to the next level! It doesn’t matter if you are a beginner or an accomplished violinist, the teachers through Hypermusic Studio can help. You can learn from a range of teachers in Auckland. We listen to your aspirations as a musician and aim to make each lesson related to your goals and focused on the main elements to help you get to the level you want to be – Plus they are fun! You may want to be a successful soloist, or just have the enjoyment of learning your favourite tunes as a hobby. Both Classical and folk styled violin lessons are available which take you through a series of music grades or books to help develop your skills. Lessons are one-on-one with you or your child – Allowing fully focused lessons. Violin teachers are based around the Auckland area. Lessons are for any skill level. Beginner through to advanced players. Range of musical styles are available to be taught including classical and folk. Any age from 7 and above. Teens and adults are more than welcome! – It’s never too late to learn no matter what people say. Get in contact today and start learning to play the violin!